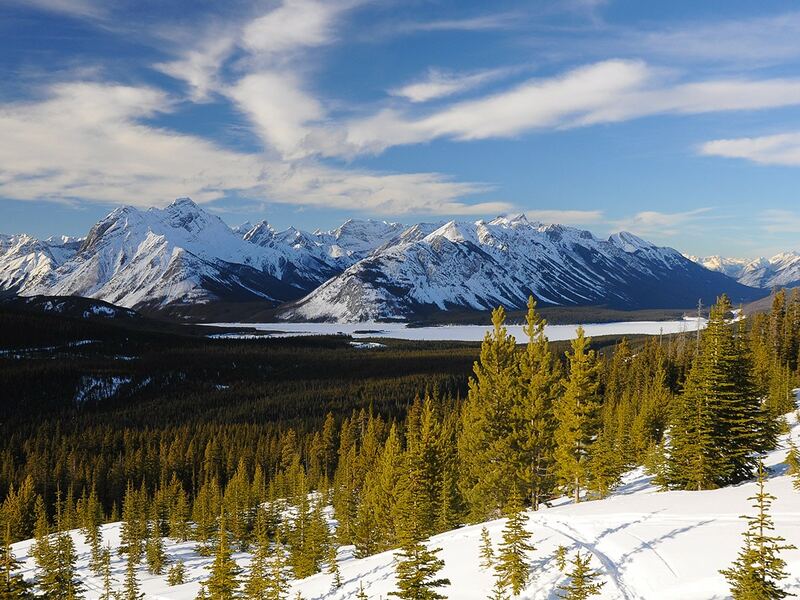 Snowshoeing to Rummel Lake brings you to some wonderful viewpoints in the Kananaskis Range. 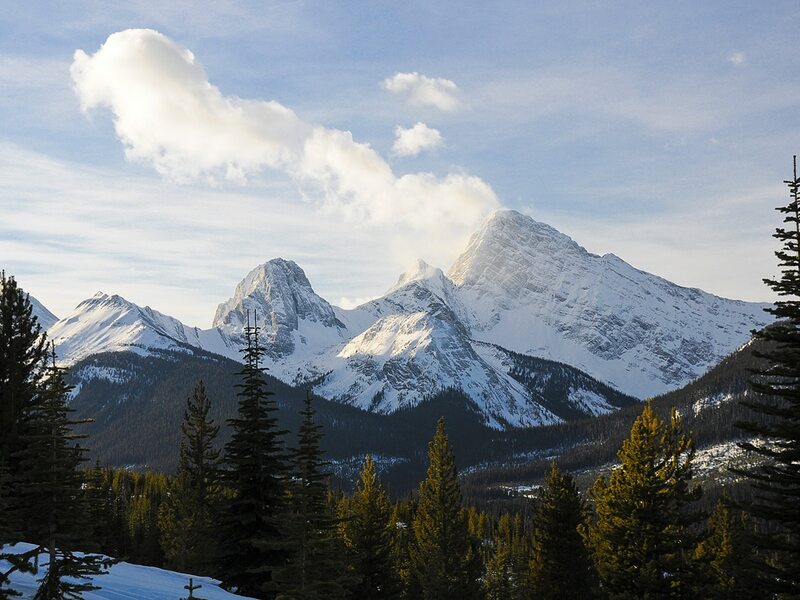 Mount Galatea, the highest in the area, towers over Rummel Lake while awesome snowy scenery and views of peaks in the Spray Valley make the ascent interesting. 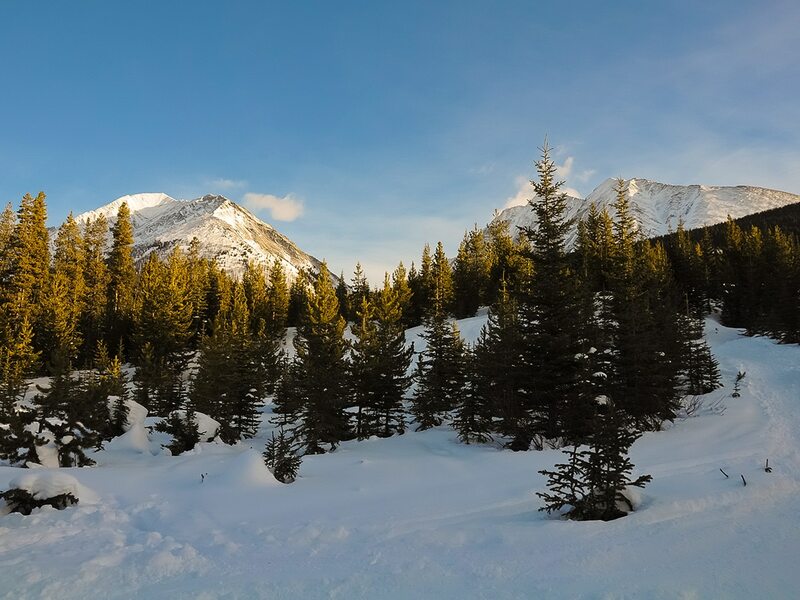 The snowshoe trip to Rummel Lake is similar in difficulty (it’s rated as a Simple-Class 1 terrain) and scenery to Chester Lake, however not as steep, but a bit longer with slightly greater elevation gain. What we love is that the trail is much less crowded! 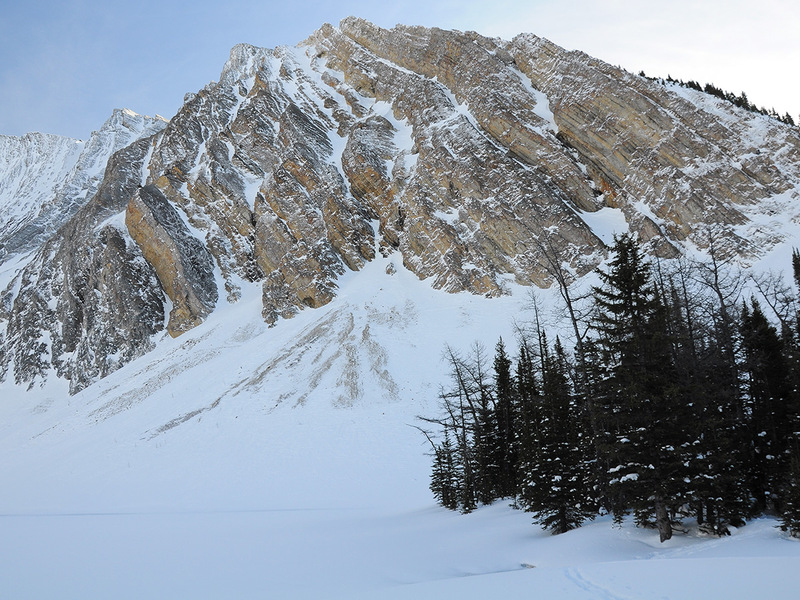 Rummel Lake is also a winter backcountry camping destination, so there is an outhouse and usually several snow pits dug for tents that make great shelters from the wind. 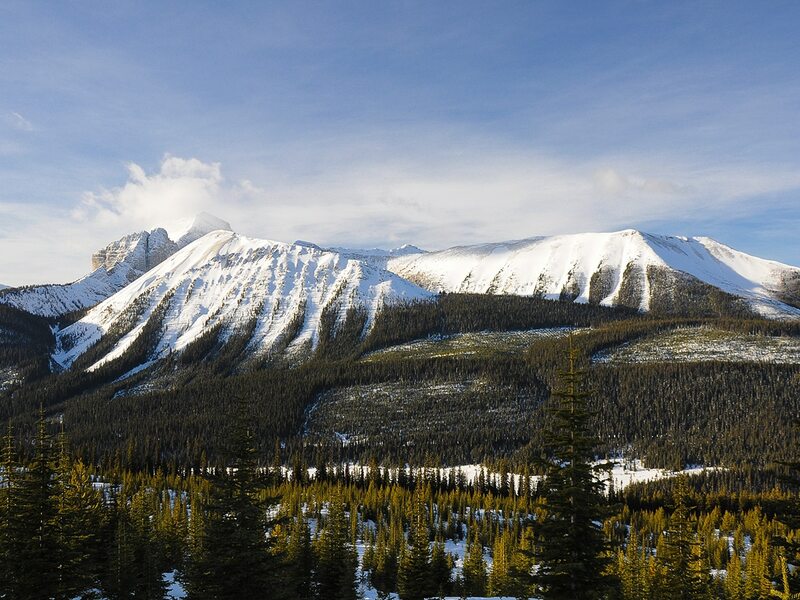 The trail starts on the east side of the Spray Lakes road at the Engadine Lodge/Mount Shark road turnoff. If you’ve seen cars parked on the side of the road here in the past, Rummel Lake was likely their destination. Initially the trail ascends an old road, but this quickly disappears into a cutblock, at which point the trail winds upwards towards the mature tree line. 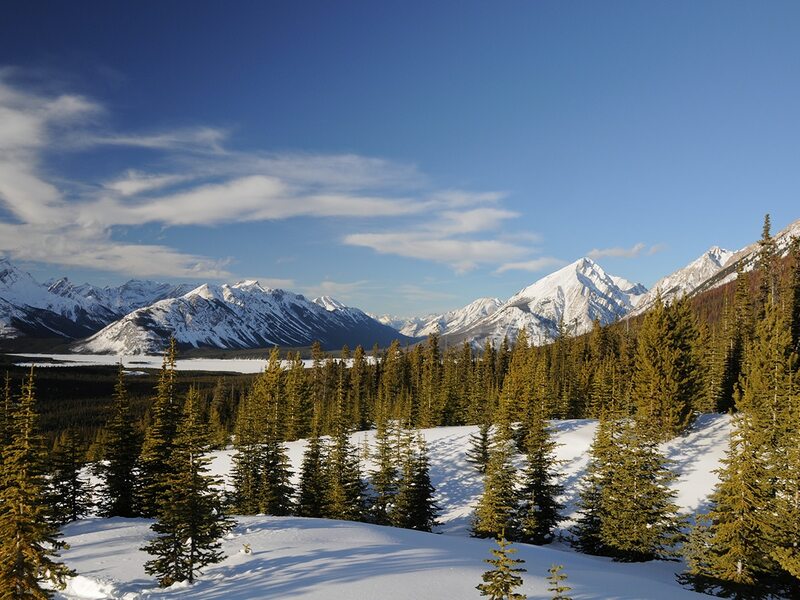 Remember to keep looking back when you get out of the trees as you ascend, as you have wonderful views across the valley, we like to check out Tent Ridge. In winter there are many trails here, but all typically converge in the southeast corner of the cutblock where the trail enters the forest. From here you’ll climb slowly until you reach a 90-degree turn; watch for it because if you miss it, you’ll end up at Chester Lake (which some people intentionally do). The trail then descends to Rummel Creek and comes to a fork. 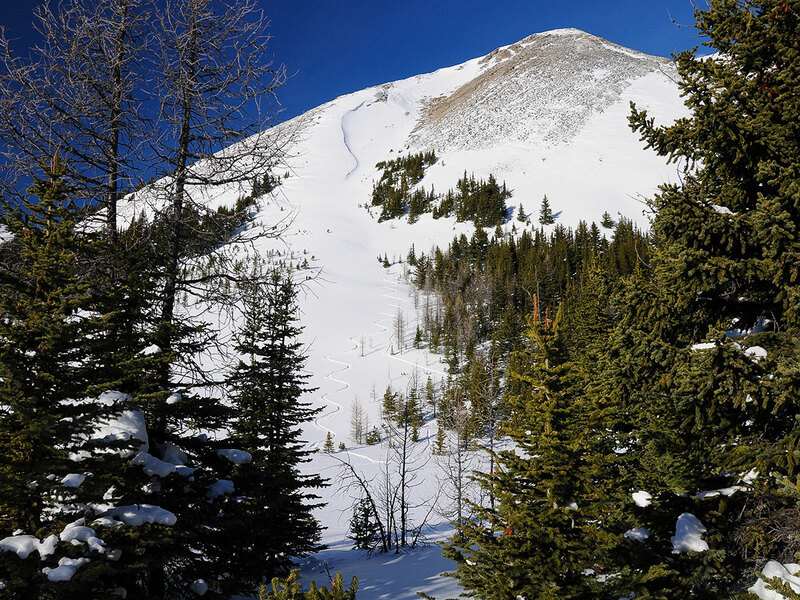 The right trail traverses the base of avalanche slopes and is the normal summer route, while the left trail crosses the creek and avoids these slopes making this the popular winter trail. Do not take the summer route, instead continue on the safe, winter route. 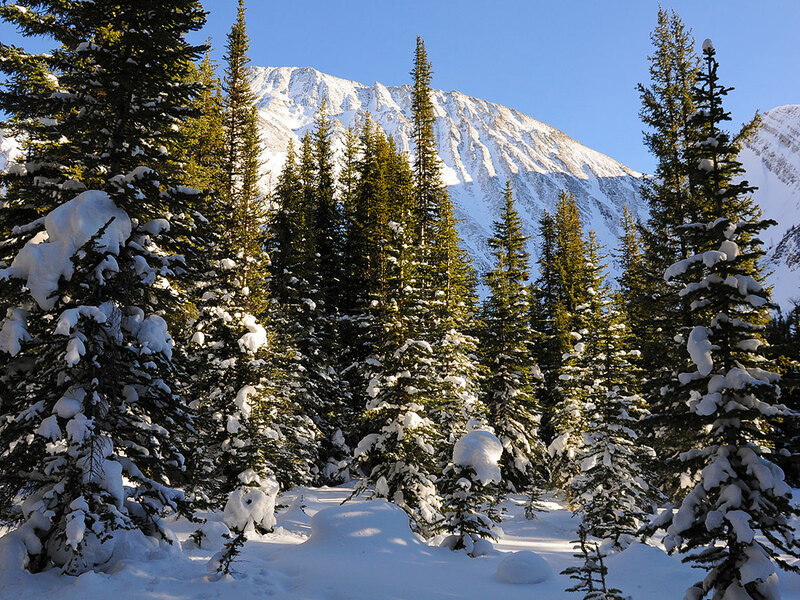 After ascending moderately for about 20 minutes, you’ll emerge from the trees at Rummel Lake. 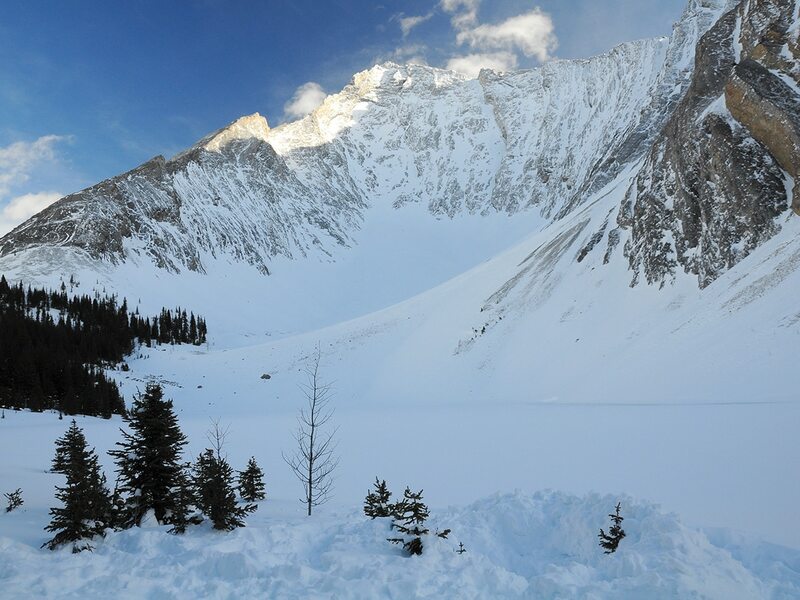 Rummel Lake is beautiful in winter, and we especially like it early in the season, as the surrounding mountains have a blanket of snow while Rummel Lake still hasn’t frozen over. 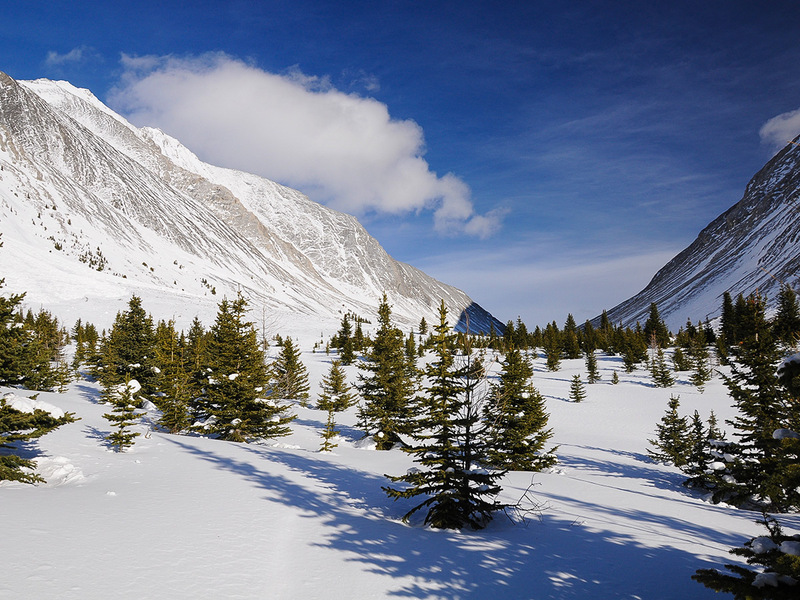 You can continue past Rummel Lake towards Rummel Pass, but upon emerging from trees you’ll find yourself near the base of several large avalanche chutes. Do not leave the safety of the trees, but enjoy a nice view here. You’ll have some fairly nice views towards the pass and back towards the lake area, making this short add-on worth the extra distance. 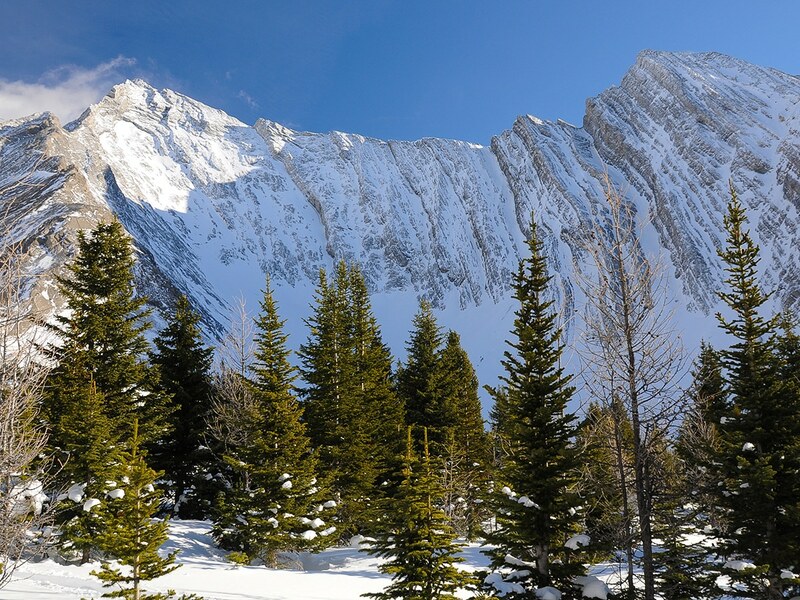 Be aware of current avalanche conditions and do not continue into hazardous terrain if conditions do not allow for it. 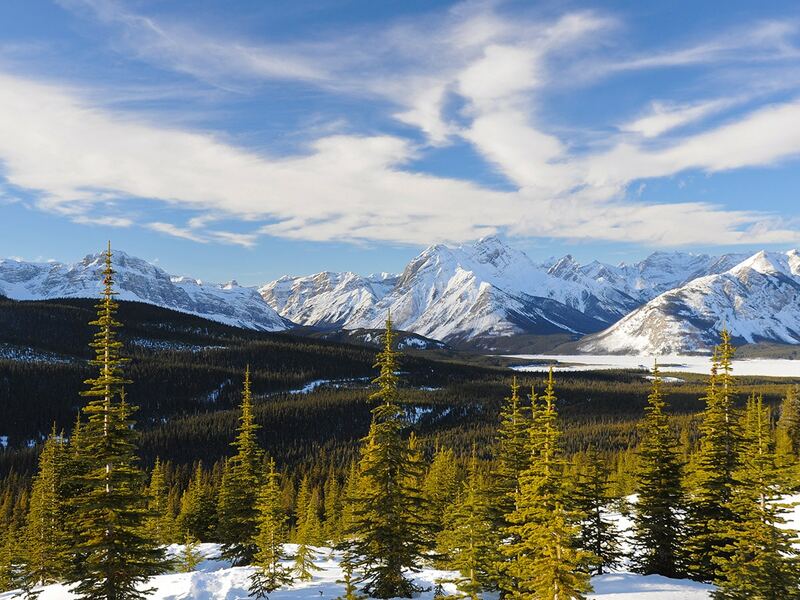 Consider stopping in at the delightful Mount Engadine Lodge for a snack on the way back. They have a variety of options for hikers, and their weekend brunch is great. 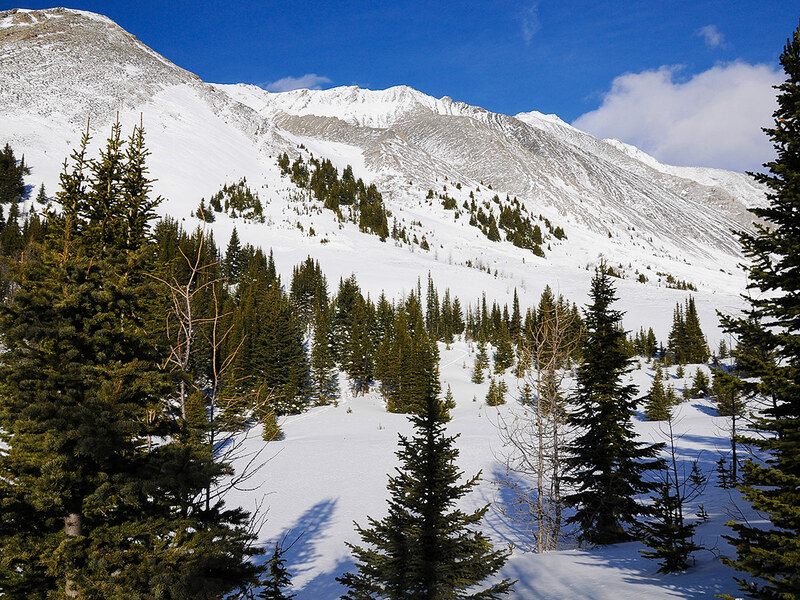 Snowshoeing in the Kananaskis is a remote activity.  Make sure you are prepared for an emergency with warm clothes, extra food, matches and ideally a satellite transceiver, like a Garmin InReach. 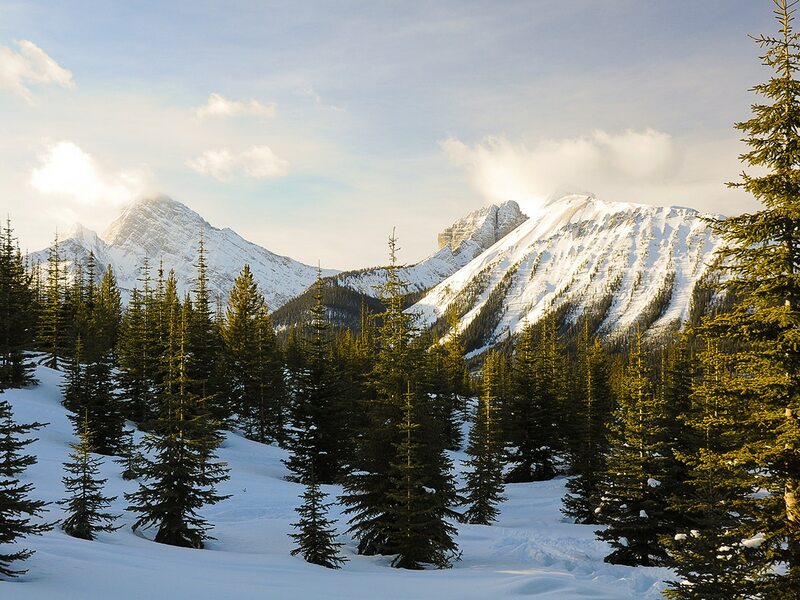 Cell phones do not work until you get to Canmore. 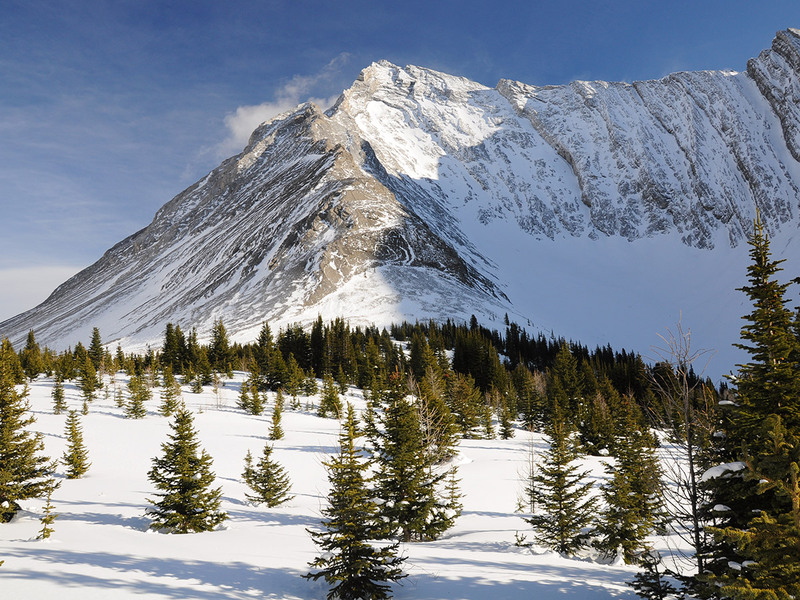 Always check the avalanche forecast for Kananaskis before heading out.